It's likely that you don't interview people very often. And yet, in order to find the REALTOR® who is right for you, you may interview several. 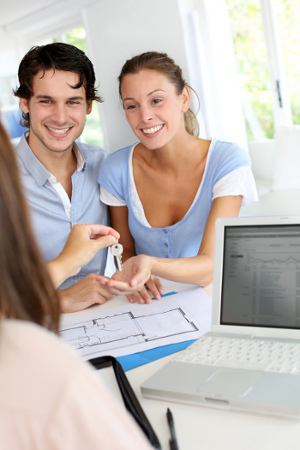 The quality of your home selling experience is dependent upon your skill at selecting the person best qualified. It's interesting that in the real estate business, someone with many successfully closed transactions usually COSTS THE SAME as someone who is inexperienced. Bringing that experience to bear on your transaction could mean a higher price at the negotiating table, selling in less time, and with the minimum amount of hassles. The world is populated with REALTORS® who are wrong for you. For example, the housewife who sells an occasional house because she needs a little pocket change, or the insurance salesman who believes he can handle two careers, or perhaps your cousin, who really needs your business. The sale of your home could well be the most important financial transaction you have ever been involved with. The person you select can make it a satisfying and profitable activity, or a terrible experience. It's your home, and your money. The choice of your REALTOR® is up to you. Make the selection carefully.